This smart design hosts an ideal space for family gatherings. From the spacious kitchen and large island to the open dining and great room. 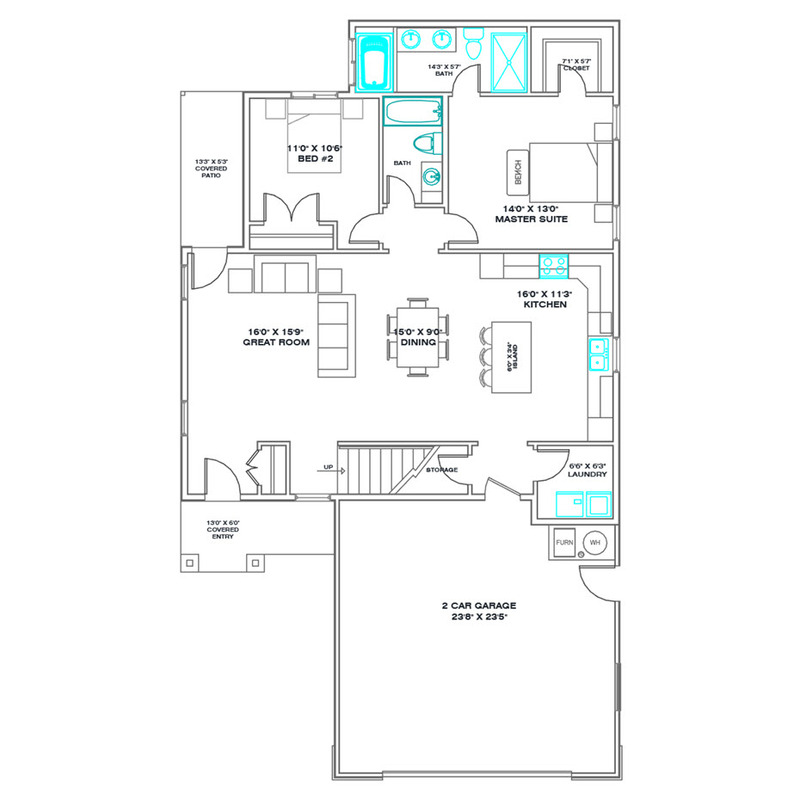 The master suite includes a walk-in-closet, and a luxury bath with a large tiled shower and separate jetted tub. A bonus room over the garage offers extra space for either a large 3rd bedroom, or a second family room plus bedroom combo. Also includes a large 3 car garage. Be sure to check out the Signature, Premier, and Executive options to decide which suits your wants and needs best. Or view more Homes for Sale – Spring Creek, NV.